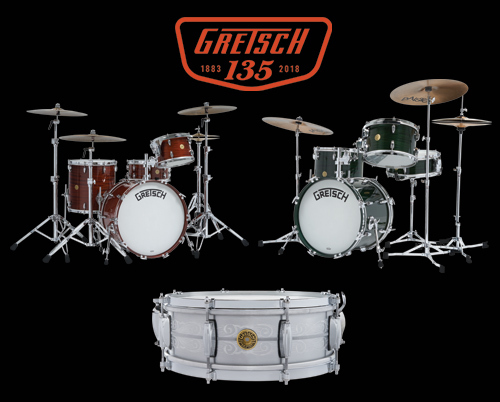 Gretsch Drums are guaranteed against defects in materials and workmanship for a period of 1 year from the date of original purchase through an authorized Gretsch drum dealer. All warranty repair claims and evaluations must be directed to Gretsch through an authorized dealer only. Authorized Gretsch dealers are conveniently located throughout the U.S. and internationally. If a customer is unable to locate a local authorized dealer, we will advise the closest area dealer. DO NOT return Gretsch products without going through a dealer. The dealer will receive a "Return Authorization" from us. Drums purchased from a source other than an authorized Gretsch Dealer. Any owner other than the original purchaser. Any defects caused by unreasonable use, neglect, moisture and/or temperature extremes, handling, shipping, or accidents. Drums that have had any unauthorized alterations or modifications, or whose serial number has been altered or removed. Natural wood finishes or normal color changes of wood or shell covering material. Incidental or consequential damages that arise as a result of or related to a defect in or failure of Gretsch products. This warranty gives the original owner of Gretsch products specific legal rights and he/she may also have other rights, which vary from state to state. Provisions of this warranty are covered by the laws of the state where the original owner purchases the product(s) covered hereby. The warranty is enforceable only to the extent and in the manner permitted under that state's law. You've got our word! ...That we will stand behind our product and reputation for quality. As a Gretsch customer, you have extended your confidence in a percussion musical instrument that is manufactured with you, the player, in mind. Should a question arise concerning a warranty replacement or repair, notify your Gretsch Dealer and take the product to him/her for inspection with the original bill of sale. If your dealer is unable to correct a warranty defect, the dealer will contact Gretsch for further instructions as to the return of the product for factory inspection and evaluation.